We consider the following Minimum Connectivity Inference problem (MCI), which arises in structural biology: given vertex sets V i ⊆ V, i ∈ I, find a graph G = (V,E) minimizing the size of the edge set E, such that the sub-graph of G induced by each V i is connected. This problem arises in structural biology, when one aims at finding the pairwise contacts between the proteins of a protein assembly, given the lists of proteins involved in sub-complexes. We present four contributions. First, using a reduction of the set cover problem, we establish that the MCI problem is APX-hard. Second, we show how to solve the problem to optimality using a mixed integer linear programming formulation (MILP). Third, we develop a greedy algorithm based on union-find data structures (Greedy), yielding a 2(log2 |V| + log2 κ)-approximation, with κ the maximum number of subsets V i a vertex belongs to. Fourth, application-wise, we use the MILP and the greedy heuristic to solve the aforementioned connectivity inference problem in structural biology. 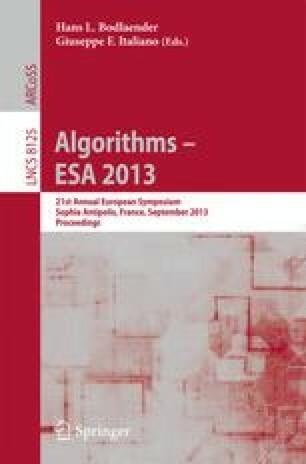 We show that the solutions of MILP and Greedy are more parsimonious with respect to edges than those reported by the algorithm initially developed in biophysics, which are not qualified in terms of optimality. Since MILP outputs a set of optimal solutions, we introduce the notion of consensus solution. Using assemblies whose pairwise contacts are known exhaustively, we show an almost perfect agreement between the contacts predicted by our algorithms and the experimentally determined ones, especially for consensus solutions. This work has been partially supported by ANR AGAPE and CNPq-Brazil 202049/2012-4.